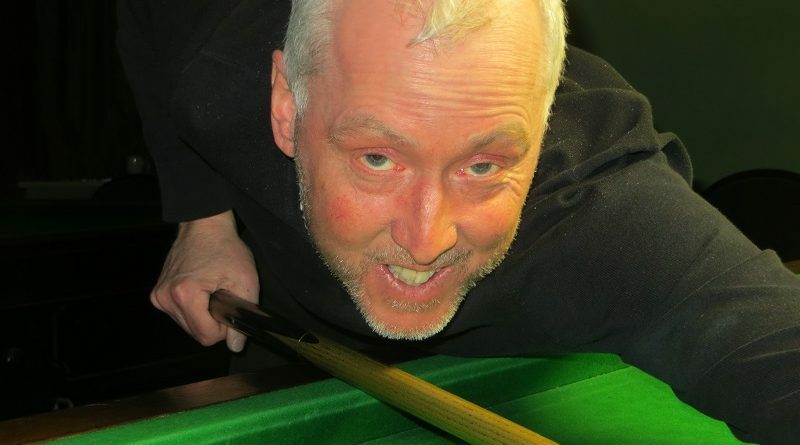 ANDOVER cueman John Hunter reckons playing the young guns at Chandlers Ford Snooker Club has helped him dominate this season’s Cuestars Seniors (40+) Tour. The 53-year-old claimed his fifth tournament win of the campaign in the eighth and final leg at Cue T’s Social & Snooker Lounge, Marchwood. Hunter, who secured the rankings title in Salisbury last month, dropped only one frame all day and defeated Neil Craycraft (Didcot) 2-0 in the final. He reckons his regular visits to Chandler’s Ford to take on top juniors like Connor Benzey, Oliver Sykes and Steven Hughes in hard-fought practice matches has sharpened his own game. “Playing junior players has made such a difference,” he said. Paul Lawrence (Southampton), appearing in the semi-finals for the first time in over three years, lost 2-1 to Hunter. Craycraft, meanwhile, had recorded the day’s highest break of 62 in a 2-0 last-four victory over Matt Ford (Bracknell). The Dransfields-sponsored event attracted a 15-strong field. A £500 prize fund is up for grabs in the Cuestars Seniors Championship for the top-20 ranked players at The Crucible Sports & Social Club, Newbury, on Sunday, April 28. For more information about Leeds-based Dransfields – the UK’s largest independent supplier of gaming and amusement machines to pubs and clubs – go to www.dransfields.com. Neil Craycraft: 62, 52, 45, 44. John Hunter: 61, 56, 55, 53, 40. Matt Ford: 55, 48, 48, 46. GROUP A: 1st, John Hunter (Salisbury SC); 2nd, Neil Craycraft (Jesters, Swindon); 3rd, Chris Rigby (Chertsey SSNR Club); 4th, Andrew Darken (Chertsey SSNR Club); 5th, Pat Patel (Crucible, Newbury). GROUP B: 1st, Matt Ford (Sunninghill Comrades Club); 2nd, Paul Lawrence (Park Gate RBL); 3rd, Mike Quinnell (Old Bexley Ex-Servicemen’s Club); 4th, Neil Carroll (Chandlers Ford SC); 5th, Stephen Hills (Traders, Northfleet). GROUP C: 1st, Darren Johnson (Petersfield Bowls & Snooker Club); 2nd, Paul Burt (Salisbury SC); 3rd, Steve Ashton (Salisbury SC); 4th, Richard Arnold (Salisbury SC); 5th, George Apperley (Crucible, Newbury). QUARTER-FINALS (12 pts): Hunter 2-0 Quinnell, Lawrence 2-0 Burt, Ford 2-0 Rigby, Craycraft 2-0 Johnson. SEMI-FINALS (15 pts, £15): Hunter 2-1 Lawrence, Craycraft 2-0 Ford. FINAL (25/18 pts, £80/£40): Hunter 2-0 Craycraft. Have you got any snooker news? To see the full tables click on the Rankings dropdown found on the main menu. This season's current top 10 high breaks. For all Cuestars high breaks go to the Competitions menu.